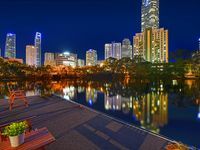 Property 4: Surfers Reflections Fabulous Family Main River . Isle Of Serenity - Perfect Family Getaway! Property 7: Isle Of Serenity - Perfect Family Getaway! We had a great time at the property, it was clean and had everything we needed. We had 3 families staying together and the house had enough space that we enjoyed time together but also space to get away. Spectacular home. Wonderful location. Owner was great to deal with and very good communication. The home was very well appointed, we had children staying with us, and having the stair gates, high chairs, and cots made life so much easier. This is an amazing location, just park the car and walk everywhere. We had a few questions as our trip got closer and Jennifer was very fast with her responce each time. Highly recommended.